After having the chance to get this reel out on the water I must say that the new 2009 Energy PT is a winner. I fished this reel on a number of different rods throwing numerous baits from ranging from frogs, chatterbaits, spinnerbaits, worms, cranks and jigs. The following are a few of my comments pertaining to this reel’s updated feature set. If you like the “tuned” feel of the previous Energy PT baitcast series, then you’ll like this reel. One of the strong suits of this new reel has to be its ability to easily cast lures either with precision or when going for maximum distance. I found that pitching jigs and soft plastics with this reel was just as easy as launching a deep diving crank. Compared to the previous generation PT baitcasters I feel this reel starts up faster and casts further with less effort. This can most likely be attributed to the new dual bearing supported “V” shaped spool. Casting ease aside, one other plus of the V spool design is also the fact that I can fit approximately 100 yards of 14lb test on the reel. Whereas, on a Shimano Curado 200E7 or Daiwa Zillion I would have to use about 50% more line when spooling up. Since I fish mainly for bass in moderately heavy cover I change out my line quite often. Knowing that I can change out line on a regular basis and not use as much as I would on a comparable reel is a big plus. Cranking high resistance lures with this reel is a pleasure thanks to the use of bearings in the handle knobs. Much like the knobs on the previous Tour Edition PT you can give these a flick and watch them spin for a while. This is a nice upgrade as the older Energy baitcasters did not have bearing supported handles. In general, cranking feels “tuned” like other PT reels, not “buttery” as with a Calais, yet nothing to complain about either. The slightly shorter handle is noticeable if you’re used to fishing with the longer one present on the older models. However, I found this difference to be negligible in my overall experience with the reel. Not once while fishing did I feel this reel couldn’t handle what I threw at it, whether it was flipping with a big weight, or cranking a deep diving crank or ripping chatter bait. The drag for this reel is rated at right around 18lbs and while I didn’t physically test this maximum limit out on a scale I have no doubt in my mind that I couldn’t horse a big fish out of cover and not have the drag handle the situation effectively. 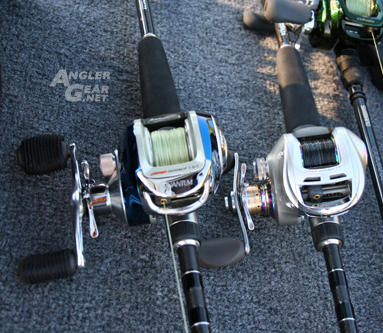 One of the most noticeable differences in the new PT series of reels is the reversion to a simplified ACS system. While the Infinite ACS system afforded anglers a wider range of adjustability, many found the settings to be finicky. Specifically, in that for certain baits, one click setting provided too much braking, where like wise, backing off one click in the other direction didn’t quite provide enough braking force. The micro ACS found on these reels is actually much like the older ACSII breaking system with 4 basic settings (0, 3, 6, and 9). This system is noticeably simplified in design from the Infinite ACS system and should prove more robust in the long run. I actually prefer this system as I usually have the brakes off when pitching, on the lowest setting when casting a majority of baits, and on the highest when casting high resistance baits into the wind. Quantum’s competitor, Shimano, is known for putting their VBS braking system on majority of their baitcasters. Many anglers, including myself, usually just set two brakes on their reels and forget it. However turning them all off for pitching, or turning them all on, usually takes a little bit of effort. I like that with the Quantum external ACS system I can go through these brake changing motions in between casts and save time, effort, and keep focus on my fishing, not on my brakes. After, taking a few casts with this reel one thing that you will notice right away is how low the thumb button sits. It was noticeable enough to get me curious to see how it stacks up against other reels. Taking a quick measurement from the bottom surface of the reel foot to the top surface of the thumb bar the E100HPT has a range of motion of about 27mm (not depressed) to 19mm depressed. This can be compared to an E750pt (33-34mm to 25-26mm depressed), Curado 200E7 (30mm to 24mm), and Daiwa Zillion (32mm to 25-26mm depressed). I initially found this to be a moot point the first few times I casted with it. However, the longer I fished with the reel the more I grew to appreciate how much easier it was to depress before casting and how much this actually contributed to the overall minimization of fatigue you would feel after a long day on the water. My only qualm with this push button itself would be the omission of some type of “grip” on the button surface. 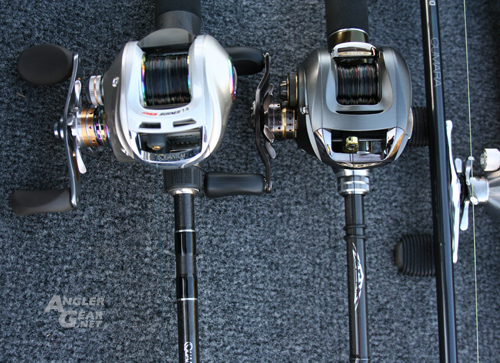 While both reels aren’t exactly the same it’s hard to ignore just how similar their body styles are. Sure Daiwa started the “swept” handle craze found on a myriad of competitor reels today, but that’s not my point. Having been a Quantum user for the better part of a decade I have not held a Quantum designed baitcaster that has the same “open” front end, dual scalloped cutout spool opening, and overall compact shape. The Quantum feels slightly wider and obviously heavier in hand compared to the Steez, yet still you can’t help but notice how similar they palm. Furthermore, you cant help but notice that the Quantum has holes drilled in its drag star as well. I guess if you were looking to “imitate” any reel design on the market you can’t really go wrong taking cues from Daiwa’s flagship reel. I suppose I can’t really complain about this interesting finding. None the less, the whole experience was rather eye opening. Overall, I have a very good impression of this reel thus far. I feel it is a definitive upgrade from the older model with the minor exception of the handle size and push button grip. This reel exhibits the “tank like” durability of the older PT baitcasters, yet without the “tank like” weight. 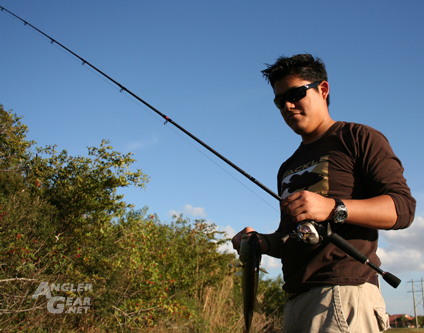 Its overall form and castability make for an enjoyable fishing experience. It’s nice to see that Quantum kept the same price point on this reel as last year’s energy baitcaster and it will certainly be interesting to see if the new Tour Editions are in fact worth the $90 more than this fantastic little reel. All in all, I can see this reel giving the new Curado a run for the money and surely help Quantum gain a few new fans. The lower stance of the E100PT ensures all day casting comfort. Quantum TE1170 PT adjacent to the E100HPT. Finally! Some New Quantum PT Information! 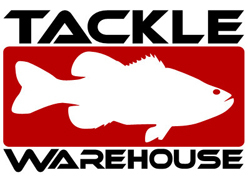 Copyright © 2019 Angler Gear. All Rights Reserved.